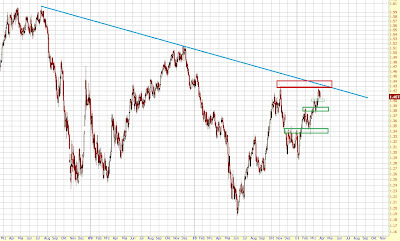 This is a very strong resistance area so I expect at least a small correction at this level. Support below is now at 1.40ish and then at 1.38ish. 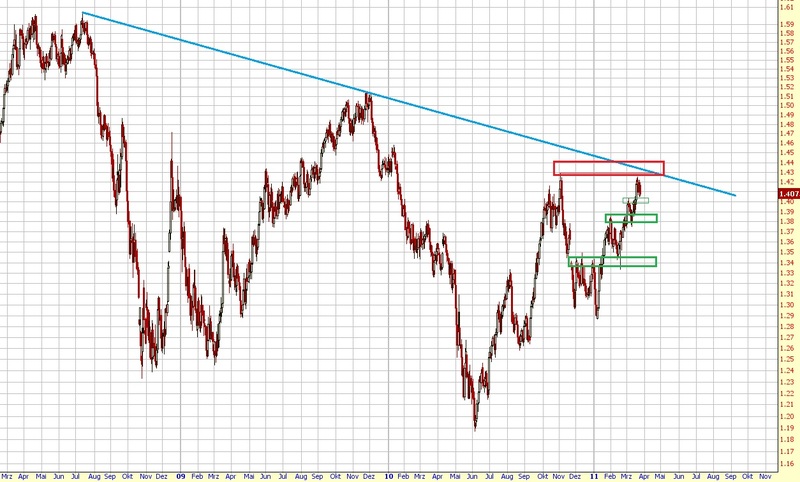 As long as 1.38ish holds I think it'll be only a pullback. If it breaks though, then we could go way lower (1.34, 1.30, ...). As already mentioned in my last update above 1.43 my next target is 1.50ish.